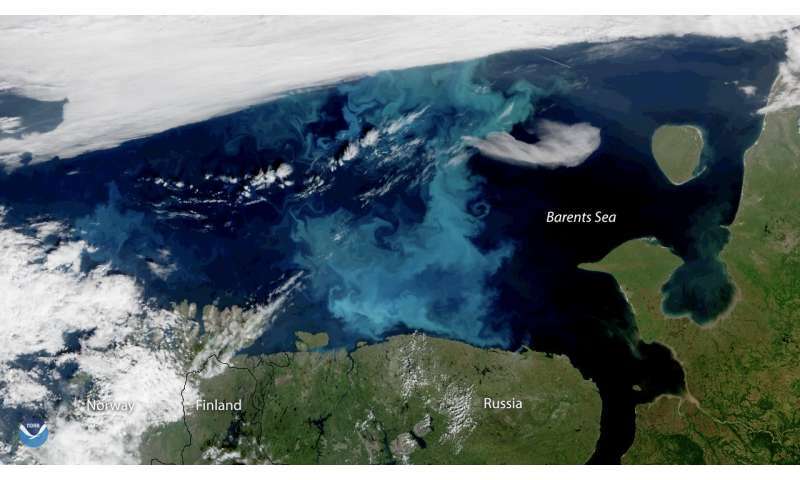 A new study based on satellite imagery of ocean color reveals phytoplankton spring blooms in the Arctic Ocean, which were previously nonexistent, are expanding northward at a rate of 1 degree of latitude per decade. Although blooms, or large explosions of phytoplankton, did not previously occur in this area, phytoplankton were present in the Arctic's central basin at low biomass. The study also found the primary productivity of the phytoplankton, or the rate at which phytoplankton are converting sunlight into chemical energy, is increasing during the spring blooms. The decline in Arctic sea ice over the past several decades has made way for areas of open water where phytoplankton can thrive, driving their northward expansion, according to the study's authors. The researchers are unsure what effect this expansion will have on the food web, but the results suggest the decline of ice cover is impacting marine ecosystems in unforeseen ways. "If the ice pack totally disappears in summer, there will be consequences for the phytoplankton spring bloom," said Sophie Renaut, a Ph.D. student at Laval University in Quebec City, Canada, and lead author of the new study in Geophysical Research Letters, a journal of the American Geophysical Union. "We cannot exactly predict how it will evolve, but we're pretty sure there are going to be drastic consequences for the entire ecosystem." The authors suspect spring blooms could someday extend into the Arctic's central basin, which encompasses almost everything north of 80 degrees latitude. Primary productivity, though, would likely remain low due to a lack of nutrients. Less ice cover means spring blooms and under-ice blooms may also have to compete for light and nutrients, thus altering the flow of the marine ecosystem. The results suggest a large change in this region, which has never been free of ice cover. "The polar regions—the Southern Ocean and the Arctic Ocean—they're really important because they play a critical role in regulating the global climate," Renaut said. "If sea ice disappears completely in summer in the Arctic Ocean, which is what we expect in some decades, it's going to have an impact on the ecosystem but also likely on the climate." "Such a mismatch in time could cause major changes to the Arctic food web, impacting not only the local animals and the people who live there, but also the global population of migrating animals who depend on these Arctic resources," Yager said. 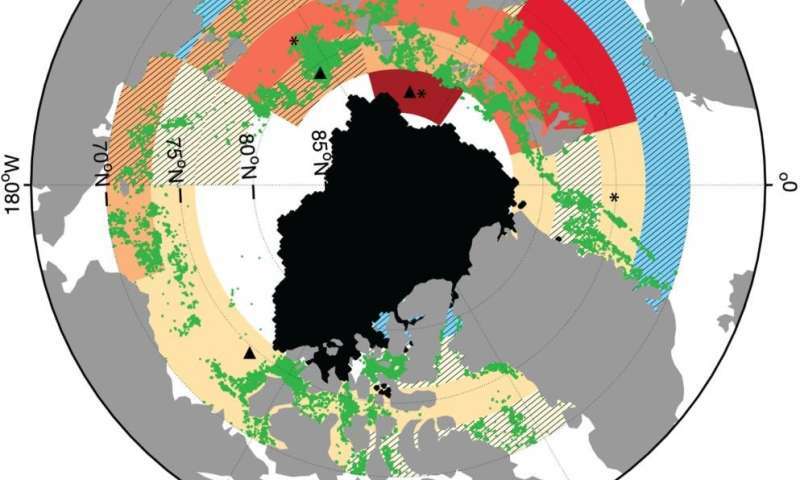 "What happens in the Arctic does not stay in the Arctic." "It is also important to remember that we are currently limited by the amount of data available to study these changes," Rousseaux said. "Longer time series of satellite data will allow us to confirm whether these trends in phytoplankton productivity persist or not." I truly doubt that. We were not meant to live in these conditions and neither were all the plant and animal life. This means a fundamental change in the ecosystem and all will be affected by it, humans, animals and plants. If the bottom of the food chain is displaced then there is no telling what will happen further up and "survival of the fittest" will have nothing to do with it. We will all suffer greatly.